»LGBT»Doritos Rainbow Chips Have Run Out! Doritos Rainbow Chips Have Run Out! Frito-Lay’s Doritos, brought out as Rainbow coloured chips as its latest snack last Thursday 17th, say they have run out of packs. The packs could not be bought in a store, but were a limited edition, mailed to anyone who sent a $10 donation to the It Gets Better campaign to help LGBT youth, especially those at risk of suicide. “Due to the incredible amount of support we have received, we have run out of bags”. “Doritos the brand has stood for the bold, and we believe there is nothing bolder than being yourself” said the company’s chief marketing officer, Ram Krishnan. said Brett Peters, communications director, It Gets Better Project. The company also announced that it was a sponsor for Dallas Pride on 20th September, and has asked for the public’s support by using the hashtag #BOLDISBETTER. “Time and again, our consumers have shown us, there really is nothing bolder than being true to yourself and living life to the fullest. 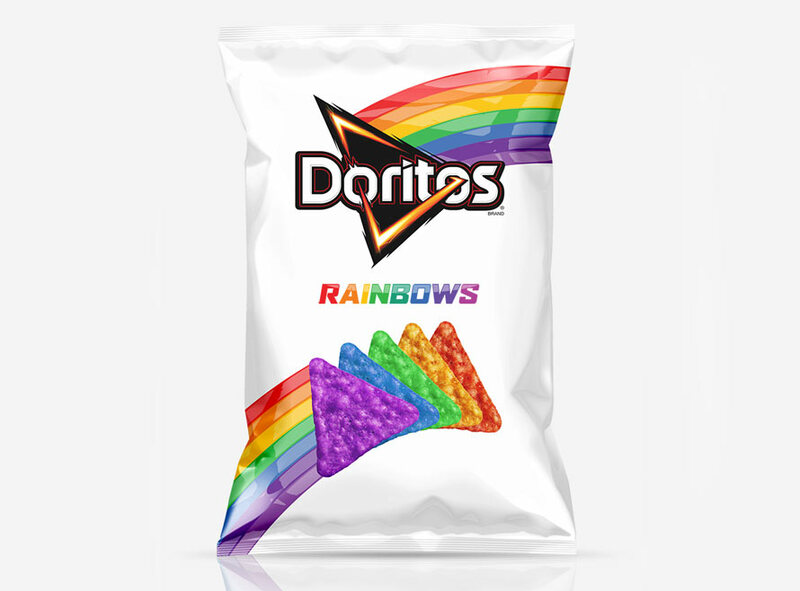 With Doritos Rainbows chips, we’re bringing an entirely new product experience to our consumers to show our commitment toward equal rights for the LGBT community and celebrate humanity without exception”, said Krishnan. While there were many messages of support for Frito-Lay, like Melissa Knowles above, there were also many who took to twitter to say for instance, that this product was “against Christianity”, and urged people not to buy any of the company’s products.